This initiative is based not only on the realization of the need to mark in an appropriate fashion the great Kobzar’s jubilee, but also on our feelings regarding the processes currently taking place in Ukrainian filmmaking and Ukrainian culture in general. We are standing on the threshold of a new era in our nation’s cinema. This is the time when new generations of directors, scriptwriters, cinematographers, and actors have already gained sufficient experience working on short films and creating them on a shoestring budget—and these films go on to high acclaim at international film festivals. This is the time when after a depression in the film industry, new co-production projects are on the rise, new producer agencies and production companies are emerging, when there are persons ready to invest in the development of filmmaking. This is the time when funding of film projects is decided on the basis of competitions, when the creators of future films boldly pitch their ideas to international juries and receive grants. 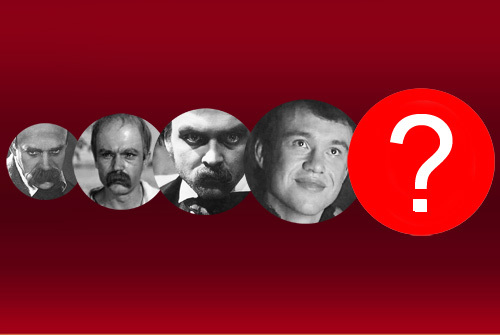 Ukraine needs a new, contemporary film about Taras Shevchenko. The society needs it, the cinematic environment needs it, and our era needs it as well. Read carefully through the lines of the announcement of the principles of this contest. Discover Shevchenko for yourself! Be creative and win!